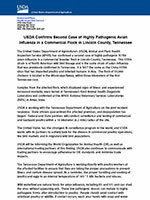 The USDA Animal and Plant Health Inspection Service (APHIS) has confirmed a second case of highly pathogenic H7N9 avian influenza in a commercial breeder flock in Lincoln County, Tennessee. 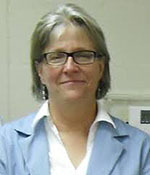 A presentation by Dr. Louise Dufour-Zavala, respected veterinarian and executive director of the Georgia Poultry Lab Network. This seven-part video series provides instruction and information about Avian Influenza, from prevention and early detection to depopulation and disposal. The disease threat to Georgia’s economically important poultry industry is at an unprecedented level due to the Avian Influenza outbreak in the Midwest and the very real possibility that it could arrive in Georgia with migratory waterfowl. The Georgia Department of Agriculture and Commissioner Gary Black provide an excellent overview of HPAI, its origin, and potential impact on the state’s poultry industry and economy. 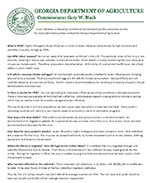 A quick and easy primer for poultry growers on the symptoms of Avian Influenza and protective biosecurity steps to guard against infection. 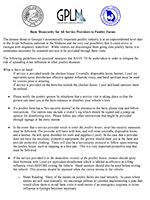 Includes photos of infected birds to help identify warning signs.